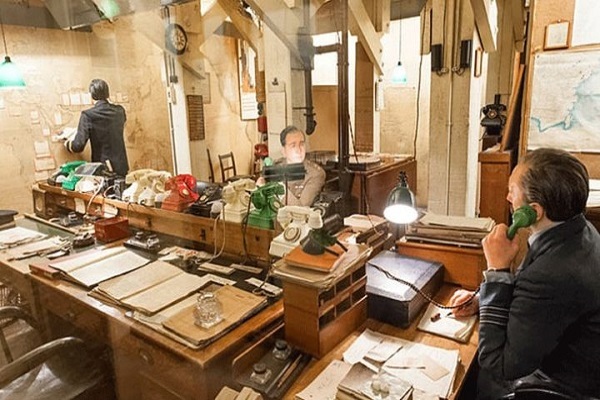 Book a private tour of the historic Churchill War Rooms and experience what it was like to work beneath the heart of Westminster during the Blitz. Walk in Churchill’s footsteps through the atmospheric corridors and learn about the big decisions made in this iconic site. The CWR Expert Guides provide hour-long tours for up to ten guests, and can take you behind the glass and into the War Cabinet Room. When the outbreak of World War, the British government has always worried that London would be the target of a bomb attack on his opponents. Therefore built a secret room that is used as a sanctuary for dignitaries and important people in the UK, as well as a place to develop a strategy of war. The chamber is the Cabinet War Rooms, located in the basement of a building in the area of Whitehall, Westminster. Now the basement is part of the Churchill War Rooms, a museum which is a branch of the Imperial War Museum. Churchill War Rooms consist of Cabinet War Rooms basement and Churchill Museum which contains a biography of Winston Churchill. Construction of the basement is finished and began to operate as a Central War Room on August 27, 1939, just days before the impending attack on Poland on September 1 and the declaration of war against Germany on September 3, 1939. Since that time, the basement holds an important role for Britain in World War II. The first room to be entered is the War Cabinet Room, the room where Churchill and government officials as well as the high commander of the armed forces to discuss and set the war strategy. In this room, visitors will see the room with chairs and tables for meetings. On the chair used by Churchill visible scratches on the pedestal hand, to witness how strong pressure received by Churchill at the time. The next room is no less important is the Map Room, a room with a map of the world in large measure plastered on the walls of the room. The middle part of the room is filled with tables and chairs complete with communications equipment. One important part of the Churchill War Rooms certainly are Churchill Museum, the only museum dedicated to Sir Winston Churchill (30 November 1874 – January 24, 1965). He was prime minister when the outbreak of World War II (1940-1945) and the back office in 1951-1955. Age above 60 years and students: £ 13.60. Operating Hours: 9:30 to 18:00. Nearest train station: Charing Cross, Victoria, Waterloo.